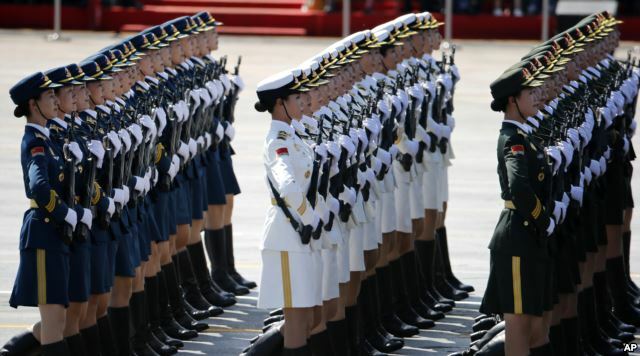 An impressive military parade was held in the Chinese capital Beijing to commemorate the victory over Japan of WWII. Among many dignitaries, Russia's Vladimir Putin was prominently seen. The parade was held at the famous Tiananmen Square and besides impressive display of goose-stepping soldiers of combat units, the parade also included , a stream of tanks, ballistic missiles, drones.